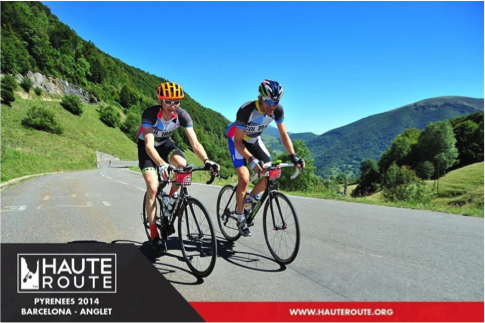 You may have heard of a cycle race called the Haute Route. There are in fact three of them and they all follow the same format. Seven days of racing across the Alps, the Dolomites or the Pyrenees, taking in around 20 categorised climbs and covering 800km. We were lucky enough to ride in this year’s Pyrenees edition from Barcelona to Biarritz. It was a daunting challenge, as not only would we be climbing 3,000m every day and have a cut off time to beat, we also had the prospect of competing against riders who lived and trained in the mountains. No such luxury for London based, City working cyclists and that is where Athlete Lab came in. My brother and I came for a trial session in May where Alpe d’Huez was recreated. It was incredibly tough and nearly put us off joining. But a few days later we came back for one of the regular sessions and got hooked. The combination of a few high intensity sessions in Cannon Street during the week coupled with a long ride in the Surrey Hills at the weekend, seemed to be an ideal use of limited time. The coaches gave us loads of good advice and we felt like our training had really shifted up a gear. 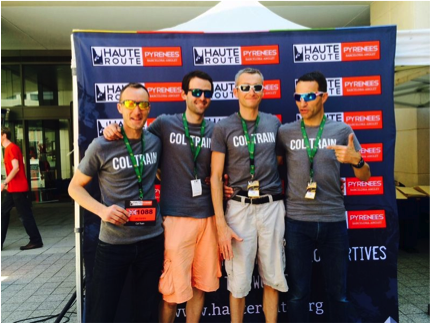 By September we felt the fittest we had ever been and ready to hit the Pyrenees with equal feelings of anticipation and trepidation. As it transpired, our fears were misplaced. We were comfortably better than we had hoped and had no problems beating the daily cut off time. As the week went by we felt stronger and must put a large part of that down to the weekly sessions of focused training in the Lab. We particularly felt the benefit on the long climbs where there would often be short sections that kicked up to 10 or 12%. These sections were sapping on the legs and unless you found some extra power, you would quickly slip down the field. We managed to find that power because it was just like the high intensity Lab sessions where you do short intense bursts of training, way beyond your normal limits. Having done it many times indoors, we knew we could repeat it out on the road. And we did. We arrived in Biarritz feeling exhausted but happy. We thought we might then hang up our cycle shoes over the winter months, but once you’ve got the Athlete Lab bug and experienced the benefits it’s a habit you don’t want to break.